Originally published in 1946, Figure Drawing for All It’s Worth is a work by American author and illustrator, Andrew Loomis. While the book has over seven decades, it is still considered by many as a great option to start learning how to draw the human figure. The book is a follow up to Loomis’ first book “Fun With a Pencil” and it explores the anatomical aspects of drawing into greater detail. 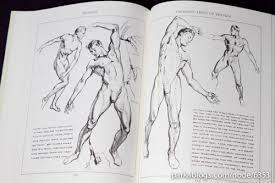 Figure Drawing for All It’s Worth is often cited by Loomis’ fans as the must-have book by this author. The book is available in Paperback, Hardcover and it has 20 pages. Here we’ll take a look at this great example of Loomis’ realistic style that has inspired artists for so many years. Figure Drawing for All It’s Worth features diagrams and charts that show the ideal proportions and the way in which the body is meant to be portrayed. The book goes beyond Fun With A Pencil as it provides much more information and a clear insight into Loomis’ thought process whenever he starts a new drawing. The charts give us an idea of the way in which Loomis sees drawing and his ideas about art. In Figure Drawing for All It’s Worth, you will learn that in order to be able to master figure drawing, you will need to practice the basics constantly, until they are firmly fixed in your mind so that you can really see a progress. When it comes to the fundamental aspects presented by Loomis, one of the main ones is the idea of learning to “manikinize” the figure, which means that you need to learn to turn the figure into a manikin to simplify it. Doing this, will allow you to make things easier when you are learning how the body moves. Then you can start adding back the details little by little, until you have a realistic figure. This idea was briefly mentioned in Fun With A Pencil, but in Figure Drawing for All It’s Worth, it is presented with more detail and there are more visual references included. There is no doubt that Loomis is a master of drawing and he also knows what references to present and how. You will find an incredible amount of references for each concept that is introduced in this and all Loomis’ books. This is one of the things that have allowed these books to become timeless classics since it is always possible to go back to them and find a solution for something you are struggling with when you are working on a sketch. After laying out the basic concepts of figure drawing, Loomis starts referring to the parts of the body that are more complex. The head, the hands and feet are more difficult to portray in an accurate manner, without using shading. 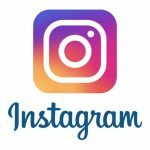 With the addition of these techniques, it is possible to bring the drawing to life, particularly if you are not only interested in doing quick sketches. In Drawing the Head and Hands, another one of his books, Loomis gets into more details about the techniques to create realistic depictions of these body parts. Since this is an anatomy book, you can expect a lot of diagrams showing muscles and their names. These diagrams are actually very helpful as the images will start getting in your head while you are drawing. While at first it may be intimidating and you will think that you have to learn all the muscles by heart, soon you will realize that just knowing some muscle groups and their locations, does help a lot when it comes to draw more accurately. It is best not to overthink it and just start drawing and as you are studying specific parts of the body, you will notice that you are getting familiar with the muscle groups. After you learn what is behind a specific pose or placement of the body, it is easier to get a more accurate depiction of the pose. Figure drawing takes a lot of thought to make sure that you get everything as accurate as possible. It is more than simply measuring and drawing. When you draw one or two lines out of place, there is a significant impact on the overall result. Our brains can notice if something looks really human. Figure Drawing for All It’s Worth is idea for those who are starting to learn how to draw the figure and also artists who want to take their work to the next level. The book begins with many diagrams and charts that show the right proportions that you need to use when you are drawing the figure. The idea of “manikinizing” the figure is a central part of the process of learning how to draw the figure. Loomis tells us that in order to be able to understand better how the human figure works, we need to learn to draw the figure like if it was a manikin. Then we can add the details little by little. In this book, Loomis also touches on how to draw body parts that are more complex, such as the hands, head and feet. However, if you want a more detailed look at drawing these body parts, then it is advisable to get another one of his books: Drawing the Head and Hands. Figure Drawing for All It’s Worth features a large selection of anatomical drawings showing different muscle groups of the body. Once you are familiar with these muscle groups, you will start to use a different approach when drawing the figure. Build the drawing up, keeping these muscle groups into consideration and you will be able to get a result that is more accurate and anatomically correct. This is a great book that allows you to draw the figure with a lot of visual aids and references that allow you to simplify things when drawing the human body.